→Native Cures for Asthma: Do They Work? For a lot of people, asthma is the curse of their existence. Some are lucky to have mild and few episodes. Asthma can flare during strenuous activities or may react to allergens, chemicals, and even emotional stress. In all cases, it can become worrisome to deal with even for those who have had it for several years. Asthma causes reversible narrowing of the bronchioles due to inflammation of the mucous membranes or contraction of the diaphragm. If this happens, the patient will experience a tightness in the chest, difficulty breathing, coughing and wheezing with phlegm or mucus. And because this is a chronic condition with unpredicted patterns of exacerbations and remissions, it is very important to know how to control it. If you are asthmatic or know someone who is, you are probably aware that prescription drugs are the biggest medical expense related to asthma. As per the American Lung Association, approximately $6 billion yearly is being spent on asthma medications in the US. Aside from the expense of buying these drugs, monitoring various types of inhalers and medicines can likewise be a pain. Are you tired of using these prescribed medicines? If you are in the hunt for natural ways to improve and control your symptoms, you might want to check out what’s in your backyard or kitchen and things might just surprise you! Do These Natural Cures Work? Regular intake of vitamins can help reduce the inflammatory effects of asthma. As we all know, Vitamin C is a powerful antioxidant. It helps release toxic substances in the body, hence believed to reduce wheezing and inflammation. Research has found this vitamin to be effective in treating bronchoconstriction in cases of exercise-induced asthma. 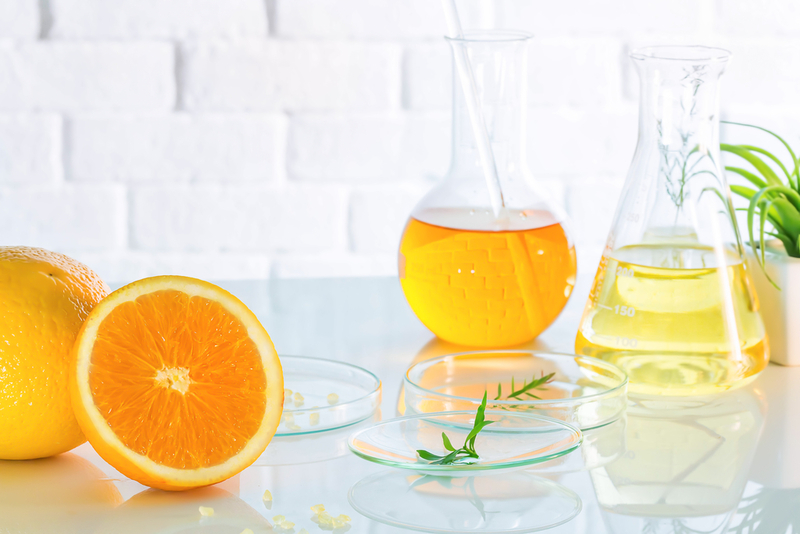 You can get Vitamin C in citrus fruits, leafy vegetables, and berries. Vitamin E is likewise an effective antioxidant and it can be found in seeds, plant oils, and nuts. Magnesium is a popular bronchodilator. It can help open the airways effectively. 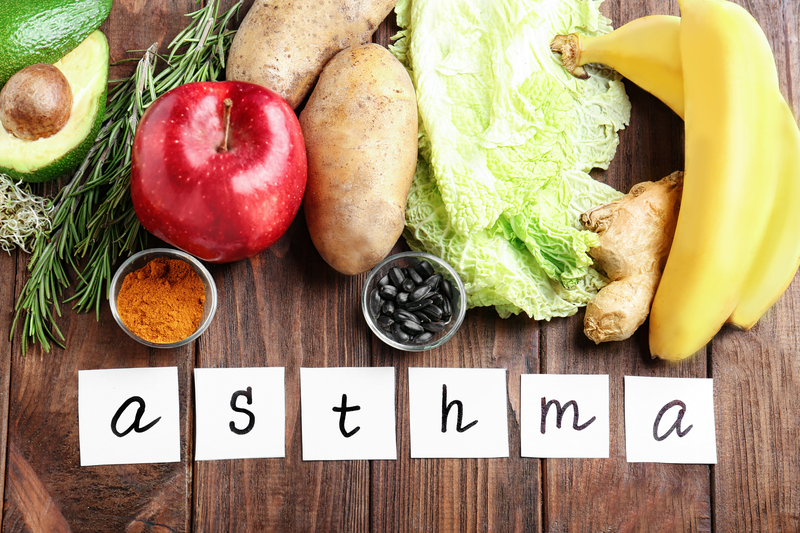 Low magnesium diet may be related to both the occurrence and progression of asthma. Adult patients who have prescribed 340 mg of magnesium for half a year has shown significant improvement in bronchial reactivity. Folate decreases allergic reactions. It is also known to lower wheezing by regulating inflammatory processes. Foods rich in Folate include beans, nuts, and green leafy vegetables. Omega 3 fatty acids are normally being used as a natural remedy in preventing heart diseases. Its supplements have helped lower IgE levels and control airway hyperresponsiveness among asthmatic patients. In a study where participants were given EPA and DHA, which are both fatty acids, showed a significant decreased in cases of exercise-induced asthma. The use of inhalers was lessened too. In another study, overweight patients with mild asthma, a naturally occurring fatty acid known as linoleic acid showed effectiveness in reducing airway hyper-responsiveness. Nature has a lot of herbs that can be used as natural remedies to cope up with allergies and asthma. These ingredients work by controlling inflammation and stabilizing mast cells. Garlic has been widely used as an alternative remedy managing several diseases, especially those concerning the heart because it can control inflammation. And since asthma can be classified as an inflammatory disease, it can also help relieve asthma symptoms. Garlic is generally safe to use. Prepare a potion with equal amounts of ginger, honey, and pomegranate and take it 2-3 times a day. Just try to avoid taking too much on an empty stomach as it may cause gastric irritation. This a staple in most cough and cold remedies as it is effective in soothing an irritated throat. Most people with asthma are mixing honey with a hot drink for a fast relief and they say it works. Ginger also has anti-inflammatory effects. It can help clear mucus and support respiratory health. Oral ginger supplements have helped improved asthma symptoms. Mustard oil when mixed with camphor makes a good combination for asthma treatment. Apply an ample amount on your chest and massage thoroughly. You’ll feel the warmth and get an immediate relief from asthma symptoms. Also known as Curcuma longa, this is a potent anti-inflammatory compound effective in controlling airway hyperresponsiveness. Its main active ingredient is called curcumin. Turmeric is suitable for patients with asthma and other allergic inflammatory diseases. Aside from relieving asthma symptoms, it can likewise lessen the mix of mucus and saliva being coughed up from the respiratory tract. A study involving factory workers in Japan showed that a lifestyle change can help reduce IgE levels, which is the allergic antibody. Unhealthy lifestyle tends to increase IgE and these include an unhealthy diet, smoking, drinking alcohol, and stress. Many people with asthma look for an alternative treatment to further control their symptoms. In fact, 40% of people with allergic diseases try natural remedies. They are being used along with medications. So what do most researches show about natural remedies, and why a lot of patients are giving them a try? Most of these natural cures have shown great benefits in controlling inflammation in animals. However, their effect on humans is yet to be established. But if you will notice, most of the herbs being used today were common ingredients in our kitchen. Therese native cures for asthma have been used for generations and they are showing good results without causing serious side effects. For now, it is all that matters.